In this tutorial, I'll explore choosing an ideal hosting platform for Meeting Planner and the initial configuration of our server. I'll be guiding you through the process as I migrate the pre-launch website to a better production environment for our upcoming alpha launch. If you haven't tried out Meeting Planner yet, go ahead and schedule your first meeting. I do participate in the comment threads below, so tell me what you think! I'm especially interested if you want to suggest features or topics for future tutorials. For many companies, Amazon's AWS is the emerging go-to solution. When AWS goes down, so do many of the web's most well-known services. But AWS is also expensive, often overly complex, and run by a company that has a history of hostility towards employees, especially its female and warehouse workers. Additionally, Amazon has single-handedly pressed the rapid over-development of my hometown Seattle in such a way that has fundamentally changed the city forever, but not necessarily for good. Recently, I wrote a guide to alternatives to Amazon for cloud computing services. There are a lot of competitors, none as vast, but many better, more affordable, and easier to use. As Meeting Planner grows, I may consider AWS again, but for now I want to look elsewhere. In the near term, at most, I'll need a server or two running web and database services. For this, managed hosting companies such as Rackspace, Linode, and my favorite Digital Ocean work just fine. For now, Meeting Planner can run on one server, but as it grows, it's possible I'll need multiple web and database servers. 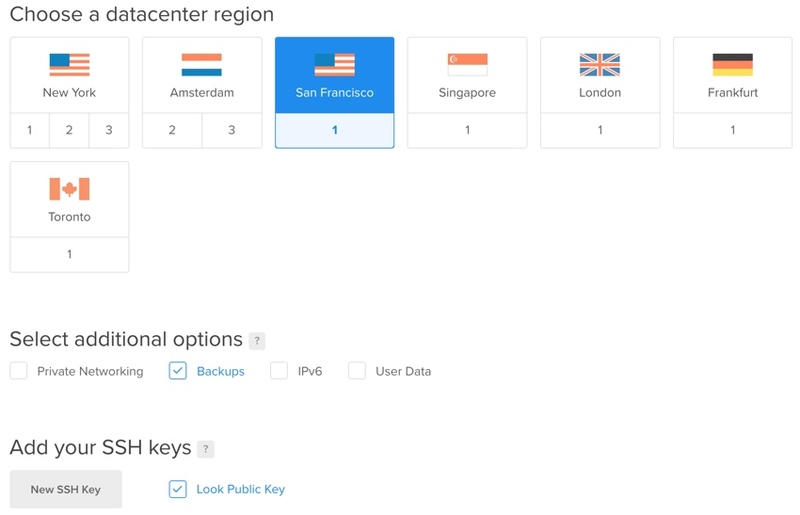 Based on my experience, AWS makes it easier to implement this, but experienced system administrators can easily do this with the aforementioned cloud providers. 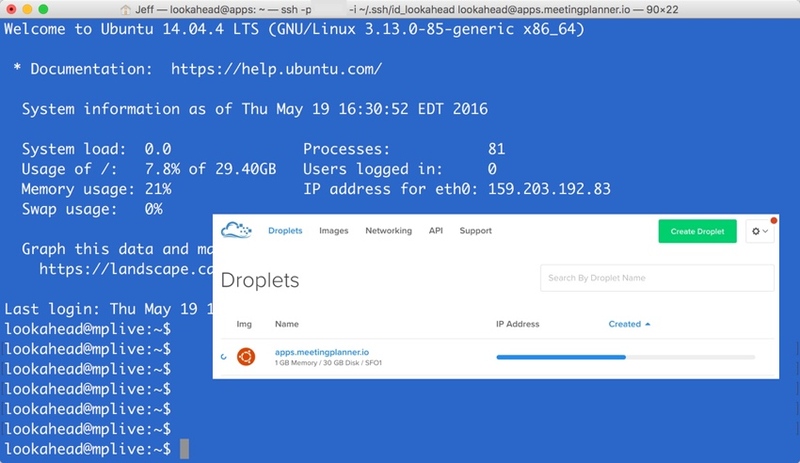 This tutorial will guide you through launching a web and database server up in the Digital Ocean clouds. I've written a handful of tutorials about Digital Ocean at Envato Tuts+, including how to use their API for server configuration. I also recently wrote about my positive experience with the Digital Ocean affiliate program. Full disclosure: when asked, Digital Ocean provided a small account credit to cover the droplet costs for this startup series for up to six months. Over the past two years that I've been a user there, they've consistently incrementally improved their quality of service, user experience, support and feature set. For a while now, it's been extremely rare to experience a slowdown or outage, common in the early cloud hosting market. Let's get started configuring the initial production server for Meeting Planner. 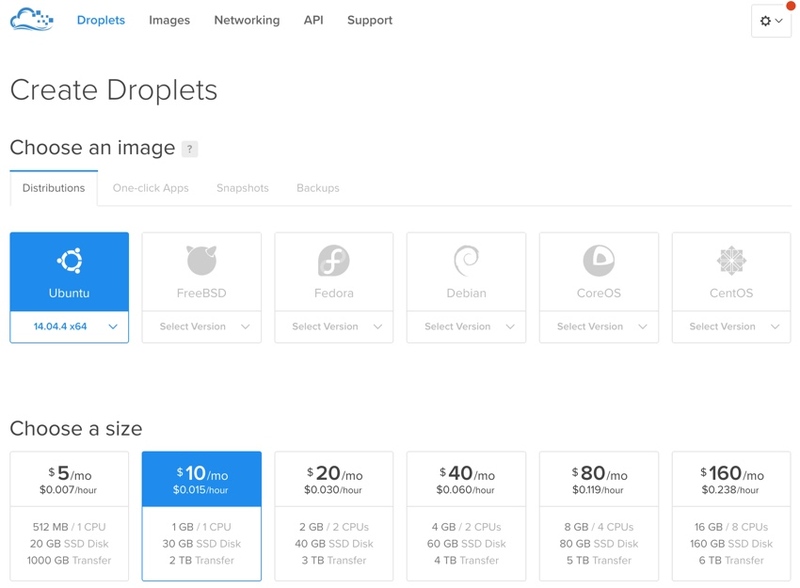 Digital Ocean instances are called droplets. I'm sure they thought of calling them tadpoles or fish, but we developers are often destroying them, so the non-sentient droplet is a better term. I'll wait until later to map the root meetingplanner.io domain to the new server. Digital Ocean offers a wide variety of helpful guides. I created a new user for my primary non-root account and deployment accounts using this explainer. I also edited the SSH configuration to eliminate the root login and customize the default SSH port away from 22. Then, I installed the typical UAMP server (Ubuntu, Apache, PHP and MySQL) on the server. It is possible that I just created a new child acronym of LAMP. After this operation, 126 MB of additional disk space will be used. Now it's time to get our codebase on the server. ssh-keygen -t rsa -C "jeff@lookahead.io"
Your identification has been saved in /home/deploy/.ssh/id_rsa. Your public key has been saved in /home/deploy/.ssh/id_rsa.pub. The authenticity of host 'github.com (192.30.252.122)' can't be established. Warning: Permanently added 'github.com,192.30.252.122' (RSA) to the list of known hosts. 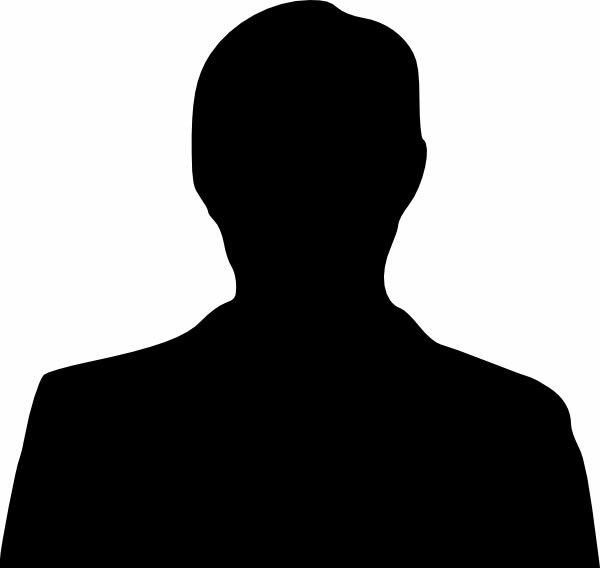 Hi newscloud! You've successfully authenticated, but GitHub does not provide shell access. You also have to paste the key into your Git account settings. $ composer global require "fxp/composer-asset-plugin:^1.0"
Ultimately, there was also some work in reviewing the local database keys (which I updated on the new server) and reviewing my file permissions. Now, let's move the database. $ scp -i ~/.ssh/id_lookahead -P 22533 lookahead@apps.lookahead.io:~/mp_may2016.sql . Then it was time to configure Apache. As I mentioned earlier, I had to make sure that the local files with keys and environment paths were correct on the new server. While there were definitely bumps, ultimately, everything came together. You may notice that I used my recent tutorial about the amazingly awesome Let's Encrypt: I installed https for Meeting Planner before taking the above screenshot. Read this if you're wondering why I refer to cron in all lowercase. Meeting Planner's made tremendous progress the past few months. I've scheduled business meetings, and a couple of personal dates chose to schedule second dates with me using the app. Yet there are still a lot of shortcomings—and feedback from early users is vital. So, in the next tutorial, I'm going to be setting up a system for collecting feedback from users, helping them get answers to common questions and learning as much as I can to make the service better before declaring MVP and an alpha launch. I hope you've enjoyed this episode. 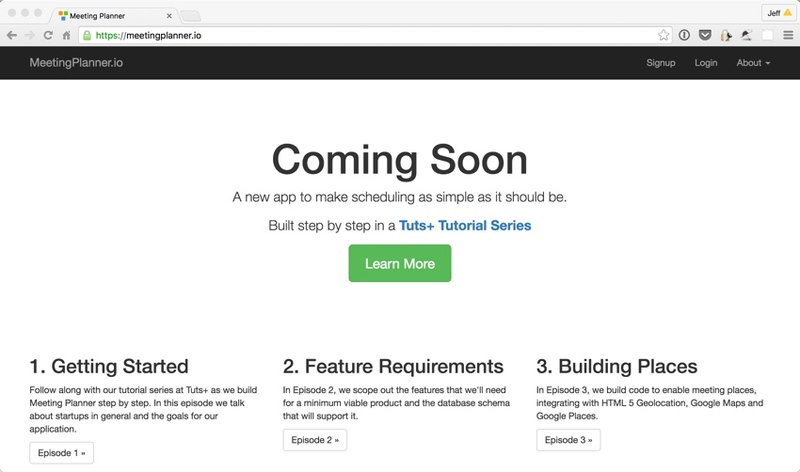 Watch for upcoming tutorials in our Building Your Startup With PHP series—there's also lots of polish work and a few more big features coming up. Please feel free to add your questions and comments below; I generally participate in the discussions. You can also reach me on Twitter @reifman directly. Wow, incredsible blog layout! How long have you been blogging for? you make blogging look easy. The overall look of youjr website is excellent, as well as the content!